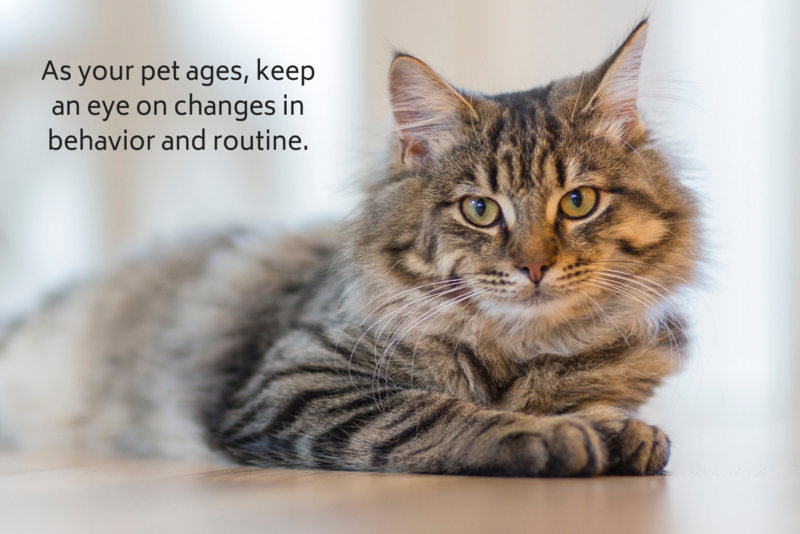 As your pet’s health starts to decline, you may start to notice changes in their normal behavior and routine. Though subtle, these cues are key to recognizing changes in your pet’s health. Is your cat sleeping in weird places or hiding? Is your dog showing little interest in going out for her usual walk? Is your pet not engaging in her favorite activities? You know your pet best and will be aware when she begins to behave differently. Your pet may also start to experience physical changes that could indicate pain or discomfort. Is your pet eating and drinking normally? Is she able to urinate and defecate properly? Is your pet experiencing physical discomfort, such as seizures or limited mobility? Our veterinarians will consider both behavior and physical factors when evaluating your pet’s comfort and quality of life. 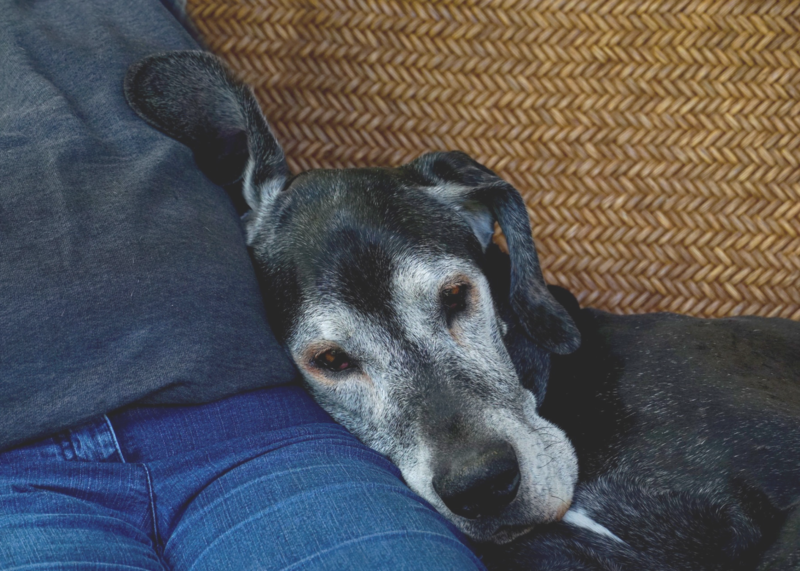 Based on these factors, our doctors will help you determine the best course of action when providing your pet with the most comfortable end-of-life experience. Our doctors may recommend hospice care, also known as palliative care, which helps provide comfort for your pet as long as possible. Hospice care is a common route for pets experiencing a terminal illness, such as cancer. This type of care mainly focuses on pain management treatments, like medication, or complementary medicine, like acupuncture or laser therapy, that may help ease your pet’s discomfort. Hospice care is not designed as a cure and is mainly an alternative when more aggressive treatments are no longer desired. If your pet is experiencing significant discomfort or a decreased quality of life, your veterinarian may recommend euthanasia, which is the practice of intentionally and humanely ending a life in order to relieve pain and suffering. The euthanasia procedure consists of an injection of barbiturates designed to overdose animals quickly, peacefully, and painlessly. The decision to end a pet’s life is incredibly difficult, but your veterinarian will be the best resource in deciding when this is the best option for your pet. We strive to support you through this difficult process in the most compassionate way possible. Arrangements can be made for the appointment to take place during a quiet time of day, such as the early morning, and all necessary paperwork, payments, and aftercare arrangements can be made beforehand to help minimize stress. You will able to discuss whether you would like to be present for the procedure with your veterinarian before the euthanasia appointment. Some pet owners elect to say their goodbyes before or after the procedure takes place, while others prefer to be by their pet’s side during their passing. We understand that everyone has their own way of saying goodbye. There is no right or wrong way to experience the grieving process as we all have our own ways of handling the death of a loved one. In all cases, you are provided with a quiet, peaceful, and private environment in our hospital so that you and your family can spend as much time as you need to send off your beloved friend. Your pets are your family. As fellow pet owners and animal lovers, our doctors and staff understand the difficulty and pain involved with losing a beloved pet and that it is completely normal to grieve this loss. You don’t have to experience the end of your pet’s life alone. We are here as a support system for you and your family during this difficult time. As we care for our patients over the years, we build special bonds with them and care for them deeply as well. Our doctors and staff are here to support you and your family. Whether it’s creating a care plan for your pet’s end-of-life experience or providing a quiet space to say goodbye, we are here for you—because your pets are family and part of ours, too. If you or your family are experiencing the loss of a pet, please feel free to reach out to us.